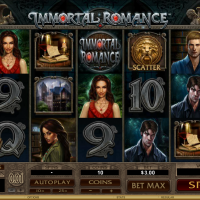 Whoever said romance is dead has never played Immortal Romance, the vampire-themed slot game from Microgaming Casino. 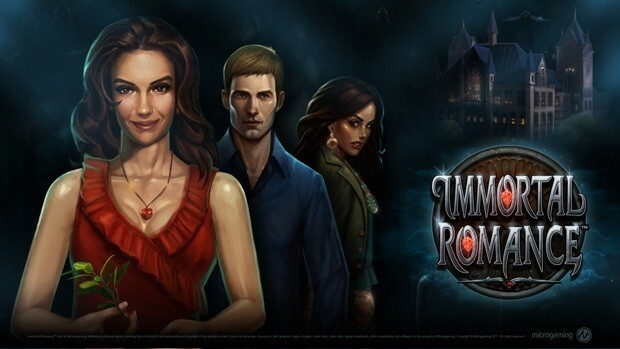 Immortal Romance is a video slot filled with Gothic lust and alluring vampires. The game packs some haunting visuals into its 5 reels and 243 paylines alongside a Wild Desire feature, the eerie Chamber of Spins, and a behemoth jackpot! Wilds lead to the Wild Desire feature, a random occurrence that can trigger mega rewards at any time. If it does, your reels turn Wild and one on each reel can multiple your total stake by 1,500. The lion door knocker Scatters will trigger The Chamber of Spins when 3 or more appear. From there, you have the chance to play four bonus games for each character. Immortal Romance comes with five bonus games, wild and scatter symbols, and the special Wild Desire bonus. Amber bonus game – 10 free spins with a 5x multiplier. 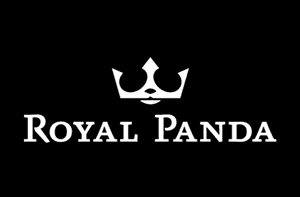 Retrigger for 20 free spins in total. 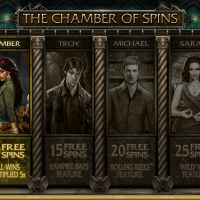 Troy bonus game – 15 free spins with Vampire Bats feature which turns symbols into 2x and 3x multipliers. Combined, you get a 6x multiplier. Enact this when you’ve played The Chamber of Spins 5+ times. Michael bonus game – 20 free spins with Rolling Reels. Consecutive wins increase the multiplier value from 2x to 5x. Enact this when you’ve played The Chamber of Spins 10+ times. Sarah bonus game – 25 free spins with Wild Vine feature. Get a Wild Vine symbol on the third reel and it randomly changes symbols into Wilds. 2, 3, 4 or 5 scatter symbols give you 1, 2, 3 or 4 free spins respectively. 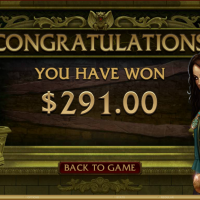 That’s up to 29 free spins. Enact this when you’ve played The Chamber of Spins 15+ times. 243 paylines mean 243 different ways to win. Bet anything from 0.30 to 6.00 with a reasonable house edge of 3.14%. There’s also an autoplay feature where you can play up to 500 spins without lifting a finger and autostop functions. The jackpot isn’t progressive but jackpots can range from 60,000 coins in the main game to 3,645,000 coins in The Chamber of Spins! I wasn’t sure what to expect from Immortal Romance on first glance. I thought it might have been another generic video slot but there’s something… alluring about it. It’s the kind of game you want to sink your teeth into. The graphics capture the vampiric lore along with its eerie soundtrack and phantasmic animations. But the main draw is the numerous ways you can win! The only downside is this isn’t a progressive slot but when jackpots can rise up to 3,645,000 coins, who cares?! The house edge is reasonable at 3.14% so you won’t feel like you’re getting bled dry.